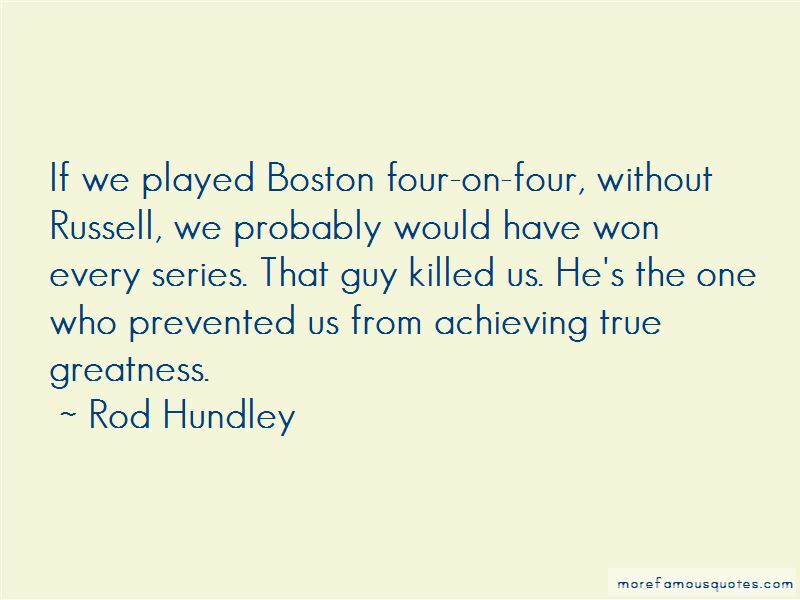 Enjoy the top 3 famous quotes, sayings and quotations by Rod Hundley. We were so happy to be alive. There was a motel there pretty close. We had a big cup of coffee. Everybody had a room to themselves. But nobody wanted to go to bed. 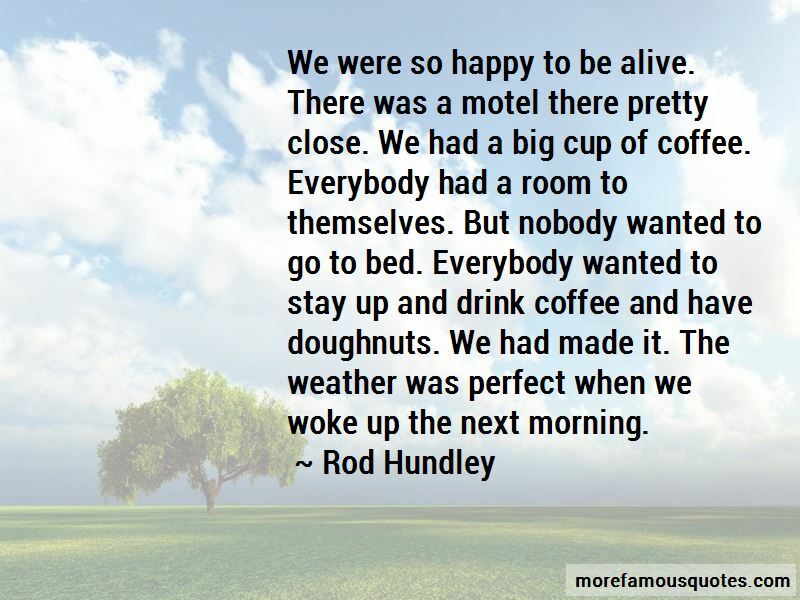 Everybody wanted to stay up and drink coffee and have doughnuts. We had made it. The weather was perfect when we woke up the next morning. 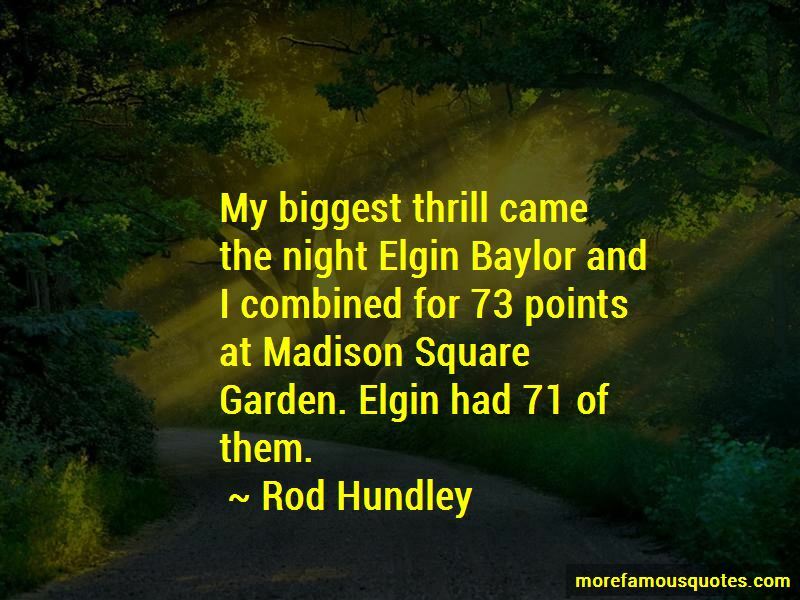 My biggest thrill came the night Elgin Baylor and I combined for 73 points at Madison Square Garden. Elgin had 71 of them. Want to see more pictures of Rod Hundley quotes? Click on image of Rod Hundley quotes to view full size.